You have been arrested in Connecticut for driving while intoxicated. If you are like most people, this is the first time you have ever been arrested. You are scared, confused, maybe a little embarrassed, and concerned about your ability to drive and your future. These are common and legitimate concerns. You are facing having a criminal conviction, loss of driving privileges, loss or restrictions on driving, and even potentially jail time. However, it is likely not that bad and will all work out well for you in the end. This web page is designed to empower you with knowledge about Connecticut’s DUI laws so you can get a sense of what you are truly facing. After reading this page we invite you to call our office toll free for a no cost, no obligation phone consultation specific to your case. AttackThatTicket.com was founded by former Connecticut police officer turned attorney Michael J. Palumbo. Few lawyers have true enforcement knowledge of Connecticut DUI and OUI laws that our founder has. Our staff strives to obtain a total dismissal of the charges against you with as minimal a disruption to your life and ability to drive as possible. 1. Being “under the influence” because the ability to drive is affected by alcohol or drugs. This can be prosecuted without any evidence of the actual blood alcohol content through the breathalyzer. 2. Per se intoxication, which occurs when a person 21 or older has a blood alcohol content of .08% or higher; a person driving a commercial vehicle has a BAC of .04%; or a person under 21 has a BAC of .02% or more. This is established through a chemical test, usually the breathalyzer. However, it is up to the police officer whether to measure a motorist's BAC by testing the driver's blood, breath, or urine. Connecticut General Statute § 14-227b holds that if you are driving on a Connecticut roadway you have therefore implicitly consented to be tested for drugs or alcohol upon demand. If you refuse to submit to the chemical test your license could be administratively suspended by the Connecticut DMV after a refusal hearing not in a court of law but before the DMV refusal hearing tribunal. · inform the driver that evidence of a refusal may be used them in a criminal prosecution. 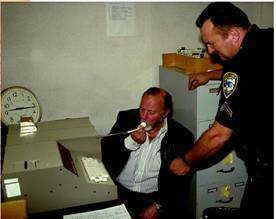 After a breathalyzer chemical test is administered and a person is found to have a .08 or more blood alcohol content (.04 for commercial driver license holders and .02 for drivers under 21), or upon a refusal, the police, acting in an administrative capacity, must revoke the license for 24 hours and submit a report to the DMV. The report must include the test results and the grounds the officer had for making the arrest. In cases of test refusals, Under CGS § 14-227b, a third party who witnessed the refusal must sign the report. If the police tested blood or urine for a BAC the officer cannot immediately suspend the license, as the samples require third party laboratory analysis. Rather, upon receiving test results within elevated BAC parameters, the officer notifies the DMV in writing. Upon the DMV’s receipt of the report of breath, blood, or urine sample, the driver is entitled to a DMV hearing prior to suspension upon demand. The sole exception is when the driver had been convicted of DUI within the past 10 years or if there was a fatality the DMV can immediately suspend, however the driver is still entitled to a hearing. (4) He or she refused the test or had an elevated BAC. It is important to understand that all of this is administrative and separate and apart from the court case. Here, this is the DMV enforcing their rules and regulations as it pertains to the authority vested in them to allow you a license to drive a motor vehicle. You could in essence “beat” the “per se” or refusal hearing and nonetheless be convicted in court of the crime of driving under the influence. Conversely, you can be held to have refused or had elevated blood alcohol content and been suspended, take your case to trial, and be found not guilty. Under CGS § 14-227b, anyone under 21 who does not contact DMV for a hearing, fails to show up for a scheduled hearing, or receives an adverse decision is subject to a suspension twice as long as the period that would be imposed to persons 21 and older. For those under 18, the suspension for a is one year if the driver submitted to a BAC test that showed a BAC of .02 or more or 18 months if the driver refused to take the test. the arrest is just the beginning. After your arrest processing you will be given an initial court date. This is called an arraignment. At the arraignment you will be formally presented with the charges and enter a plea of “not guilty.” You are entitled to certain documents from the prosecution at arraignment and, upon your lawyer’s demand more documentation at a later date. At the arraignment, and through all stages of the court proceedings, you are presumed innocent. Further, you have no obligation to prove your innocence, but the state has the burden to prove, beyond all reasonable doubt, your guilt. This is a very high burden. Our goal as your counsel is to have the criminal charges dismissed. One method we employ is to qualify our clients for Connecticut’s Pretrial Alcohol Education Program. Our office will review the facts of the case, your background and history, and make a formal application for acceptance to the program to the court. If we are successful in this endeavor and you qualify and successfully complete the program the DWI charges will be dismissed. Upon a charge of Connecticut DUI an application may be made to the court for admission to the Pretrial Alcohol Education Program. The applicant must pay a $200.00 in non-refundable fees. Eligibility turns, in part, on an evaluation for appropriateness to the program and non-prior participation within the preceding 10 years. If the court grants the application, it must refer the motorist to CSSD for assessment. Upon confirmation of eligibility, the person is referred to for placement into an appropriate alcohol intervention program, or a state-licensed substance abuse treatment program. If ineligible as deemed by the court or treatment provider, of if the program was not successfully completed, the case is immediately scheduled for trial. However, if the course is satisfactorily completed the court dismisses the charges. While in the program the license suspension remains in effect. Non-discretionary ineligibility occurs when there was an accident that caused a serious physical injury or if the charge resulted from the operation of a commercial motor vehicle. If we cannot get the case dismissed then we have to defend you against prosecution. In any driving while intoxicated case, the main evidence against the driver is the chemical test / breathalyzer. However, even if the Connecticut DMV found that you had elevated blood alcohol content within the framework of their regulations, in order for the prosecution to use the test results as evidence in court, CGS 14-227 establishes specific standards for court admissibility. There are one set of standards for uninjured drivers, and another for injured drivers. Evidence that a driver refused to submit to a test is admissible if the procedural requirements of CGS § 14-227b (described below) are followed. At trial, the court must instruct the jury as to what inferences it can and cannot draw from a refusal. Injured Drivers Requiring Medical Treatment. (4) The judge issues a search warrant authorizing the seizure of the results. Under Connecticut General Statute CGS § 14-227a the court may take into consideration for sentencing purposes driving under the influence convictions that occurred in another state so long as that state’s statute has substantially the same essential elements as Connecticut's criminal drunk driving offenses. Moreover, if a Connecticut license holder with a prior Connecticut DUI conviction is subsequently convicted out of state and the Connecticut DMV is informed of the out-of-state conviction, the DMV will impose the license suspension Connecticut law would requires for a second or subsequent offense. A point of confusion is the administrative suspension by the DMV under the “per se” implied consent law and a suspension for criminal conviction of a DUI charge. Understand that Suspension for conviction of a criminal DWI charge is in addition to any previously imposed administrative license suspension under the implied consent law. In other words, you may have served your prompt suspension period for having elevated BAC or refusing, re-obtain your license, and then be re-suspended upon a criminal conviction. The Connecticut Supreme Court has held that this is not double punishment or double jeopardy and that an administrative suspension is not a bar to criminal prosecution. State v. Hickam, 235 Conn. 614 (1995). Upon an appeal from criminal DUI conviction the license suspension is stayed during the appeal. For drivers operating under a special permit suspension periods are doubled. The law imposes stricter rules on 16- and 17-year-old drivers. First, an elevated BAC for anyone under age 21 is .02% or more. For such juveniles, the driver's license is seized and driving privileges suspended for 48 hours and the vehicle removed impounded Further, drivers under age 18 arrested for DUI are not eligible for youthful offender status. Upon a 3rd DWI conviction the license is revoked. The driver can seek restoration after six years. If the person is eligible they must agree to install an ignition interlock for a 10 year period following restoration. Ignition interlocks are required upon a first DUI conviction. First offenders are prohibited from driving vehicle without the device for one year. Second offenders 21 and older must drive only interlock-equipped vehicles for three years. Moreover, the interlock period may be suspended by the DMV for drivers who do not comply with the interlock installation or use requirements. 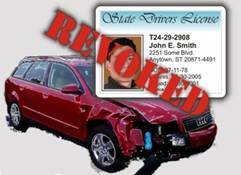 Offenders must pay DMV a $100.00 fee before the device is installed. Offenders are also responsible for the costs of installing and maintaining the devices. Asking another person to breathe into the interlock to start a vehicle or tampering with, bypassing, or altering the interlock is a class C misdemeanor. For a first offense the penalty is a fine of up to $1,000 and imprisonment for up to one year, 30 days of which cannot be suspended. Upon a second conviction the maximum fine remains the same imprisonment can be for up to two years, 120 days of which cannot be suspended. A person is a persistent operating under the influence felony offender if convicted of 2nd-degree manslaughter with a motor vehicle or 2nd-degree assault with a motor vehicle and (2) within the previous 10 years has been convicted of either of these offenses, DUI, or of substantially similar offenses in other states. Someone convicted as a persistent felon DWI offender is facing serious time – 10 to 20 years. Anyone who operates a motor vehicle while his or her license is suspended or revoked for DUI or refusing to submit to a BAC test / submitting and a finding of elevated blood alcohol content, is subject to a fine up to $1,000.00 and imprisonment for up to one year, 30 days of which is mandatory. For a second offense imprisonment is for up to two years, 120 days of which cannot be suspended. 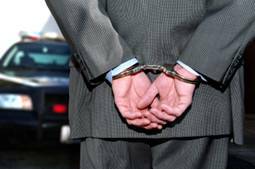 Driving a motor vehicle while suspended or revoked for a third or subsequent violation can result in imprisonment for up to three years, one year of which cannot be suspended. Anyone who has had a driver's license suspended may apply for a special driving permit that allows certain work- or education- related driving. However, the issuance of a special operator permit is conditioned on an ignition interlock device being installed. 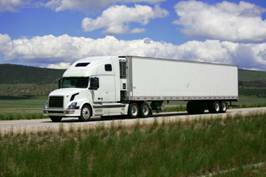 If someone holding a CDL is found to have either refused a chemical test or has taken a test that resulted in a BAC of .04% or more, the license holder is disqualified from driving a commercial motor vehicle for one year. If the offense occurred while driving a vehicle transporting hazardous materials the disqualification is for three years. Disqualification occurs upon any BAC test refusal, a BAC result of .04% or more while driving a commercial motor vehicle or, or a blood alcohol content of .08% or more while driving any motor vehicle, or a conviction of operating any vehicle while under the influence of alcohol, drugs, or both. Further, disqualification applies to convictions in other states if the offenses in those states are similar to those under Connecticut's administrative per se and implied consent law. CGS § 53a-56b establishes that a person commits 2nd degree manslaughter w/ a motor vehicle when operating under the influence of alcohol or drug, he causes the death of another person due to the effect of the alcohol or drugs. This carries a prison term of up to 10 years, a fine of up to $10,000, or both. CGS § 53a-60d establishes that a person commits second degree assault with a motor vehicle when, while operating under the influence of alcohol or drugs, he causes serious physical injury to another person due to the effect of the alcohol or drugs. The sentence ranges from a prison term of up to five years, a fine of up to $5,000, or both.